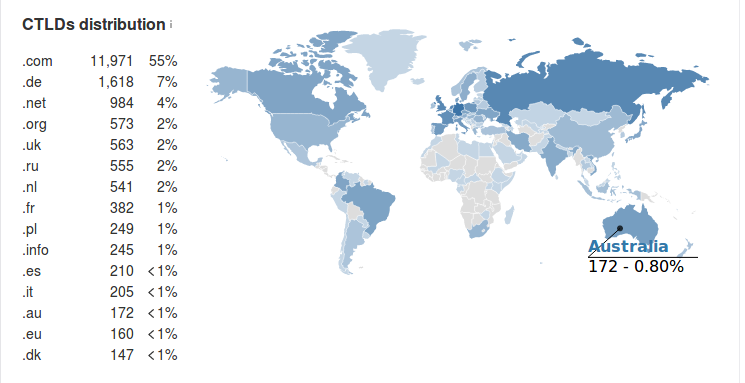 The CTLDs Distribution Map in the Overview tab of Site Explorer shows the distribution of referring domains that have links pointing to your site per country. It is to be noted also that for the CTLDs map we take into consideration only corresponding country top level domains. For example, for the United States it will be .us domains (.com, .net, .org domains do not refer to CTLDs). Why do I see "There are no results in our index for the specified domain/URL" message in Site Explorer?